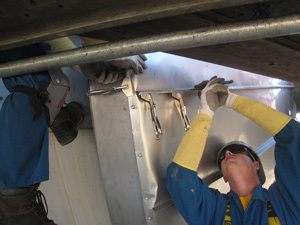 NYCO takes pride in being a leader in industrial mechanical insulation services. In addition to enhancements in process performance, emissions, and energy efficiency, Industrial noise reduction is one of the most significant benefits of industrial insulation application. We offer a wide range of services to cover various types of industrial piping and equipment. We have a strong background in insulation services for manufacturing buildings, energy and water facilities, and food processing plants. Talk to the industrial insulation experts at NYCO and see how our services be used on your next project.